As the Greenwich Peninsula continues to evolve into a metropolis of impressive residential high-rises, schools, offices, tree-lined parks and of course the O2 Arena, it's a lovely surprise to find a tiny, historical cobbled street called River Way which is made up of eight Grade II listed Georgian cottages and a fantastic 19th century pub. The Pilot was built to serve the local coal workers in days gone by, and despite being there for hundreds of years, the pub and cottages now look almost out of place amongst the sprawling urbanism. It's a bit like a film set and also happens to feature in Blur's 1994 'Park Life' video (can you believe that was 20 years ago already). 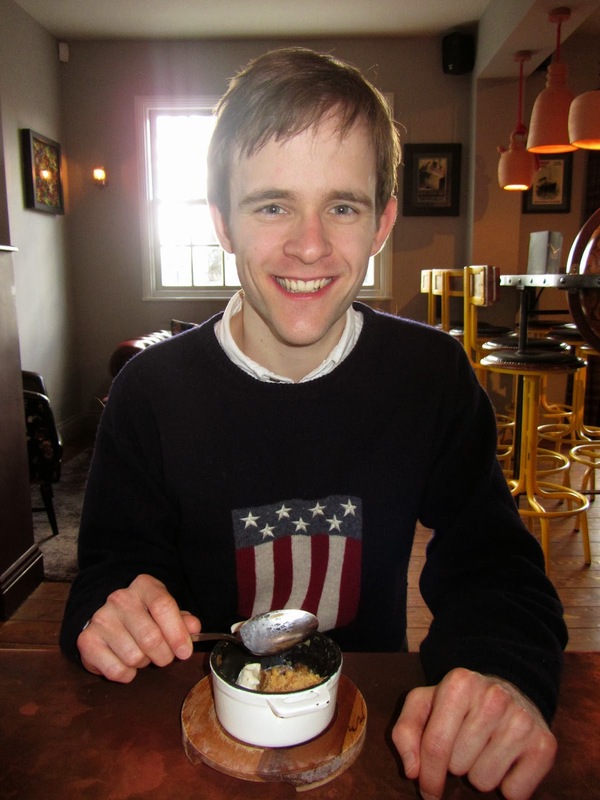 Following a recent refurbishment, I was invited to go and see what the proprietors of The Pilot had done with the place, so I took my brother and young Elliott there for lunch last week and was very pleasantly surprised. 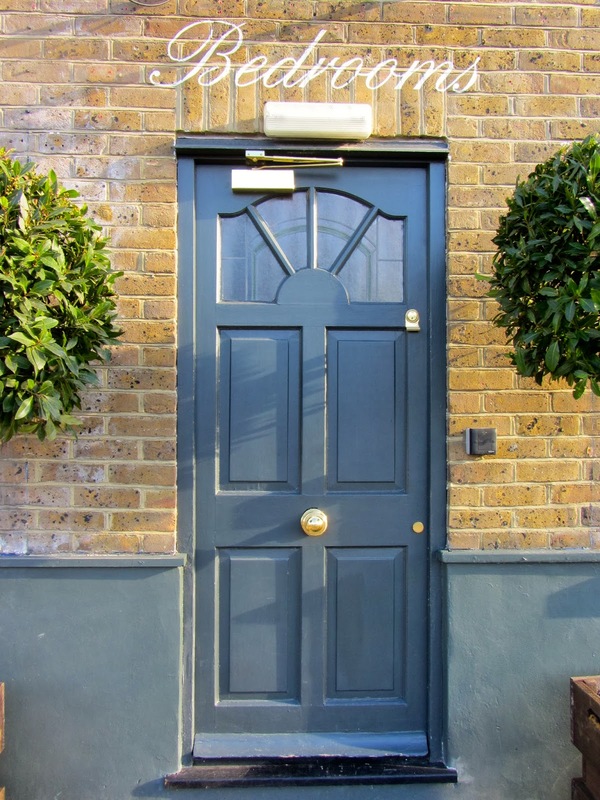 Located a short walk from North Greenwich station, it's easily accessible (also by river boat) and an absolutely perfect place for a pitstop if you're going to the nearby O2. It's also very convenient for City Airport. What surprised me most was just how large The Pilot is once you're inside. Not only does it have a bright and airy bar with various rooms on various levels to enjoy your pint of London Pride and Scotch egg or Sunday roast, but it also has some fantastic outdoor spaces including a lovely little beer garden and a roof terrace with those Moroccan-style lounge cushions. It's also a great venue to host a private party (or business meeting), whether you want to hire an intimate area or splash out and hire the whole pub. 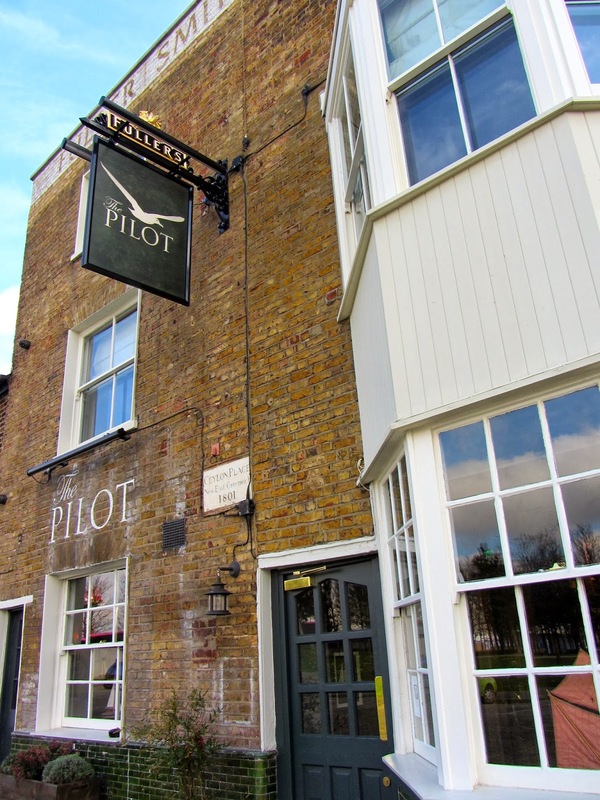 The food and drink at The Pilot is Modern British with a varied and extensive menu including everything from traditional beer-battered cod and chips or Peninsula Ploughman's, to a confit duck leg or chargrilled smoked mackerel salad. We opted for the Scotch egg, Pilot Burger, fish & chips, apple crumble and warm brownie, all of which were delicious and spot on. 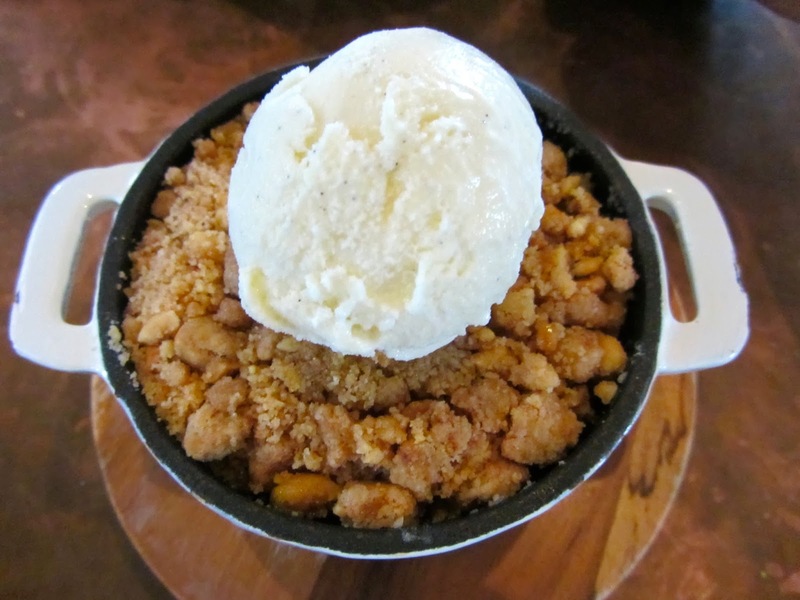 The dinner menu is a slightly more adventurous version of the lunch menu, plus there's the daily pie menu, good puds, a comprehensive wine list and six cask ales. Oh and apparently The Pilot is renown for offering the largest cheese collection of any British pub! The decor is quirky with terracotta pot lamps, framed vintage toys and robot posters, and a mixture of furniture styles, all fitting of each area, whether you want a cosy armchair, a comfy bar-stool or an al fresco booth. The staff were super-friendly, and as a parent, it was a joy to be in such a child-friendly establishment. But that's not all, as The Pilot holds a fantastic trump card - a selection of beautiful boutique bedrooms. I went for a peek to see a few of the rooms all with their own unique style, from the cosy 'Captain's Cabin' with its wooden interior complete with port hole, to the more luxurious and spacious superior doubles (including one which is full of framed classic album covers). 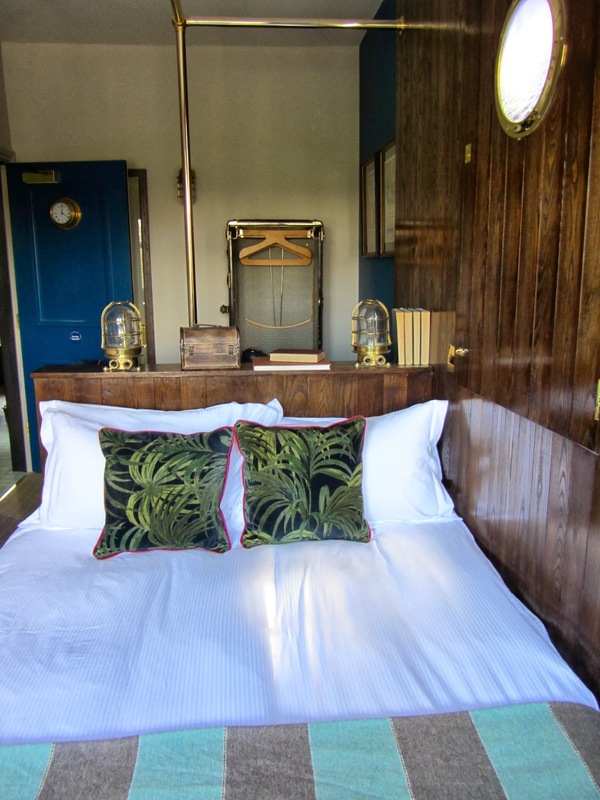 All the rooms are stunning and have been tastefully decorated, each with an en-suite bathroom or shower, iPod dock, tea/coffee facilities, flatscreen TV, free wi-fi and parking. Another nice touch is each room has a clock on the door with the time relating to the room number. 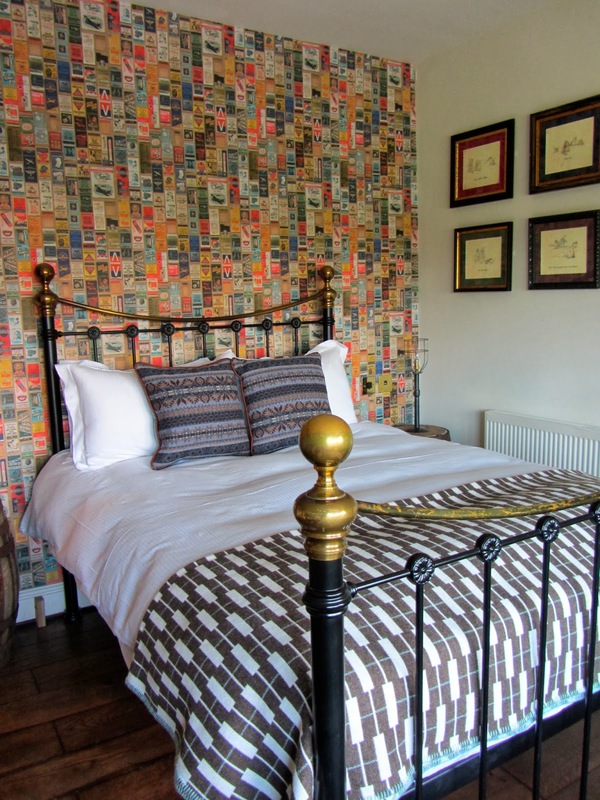 These enchanting bedrooms are a perfect place for a romantic escape, a solitary escape, an 'I'm catching a flight from City Airport at the crack of dawn' escape, or just a place to rest your head if you happen to be going to a gig at the O2 and don't fancy joining the masses on the last tube to hell. In fact, Rihanna, Beyonce and Dolly Parton, if you're reading this, you should definitely consider booking a room at The Pilot for your next tour!